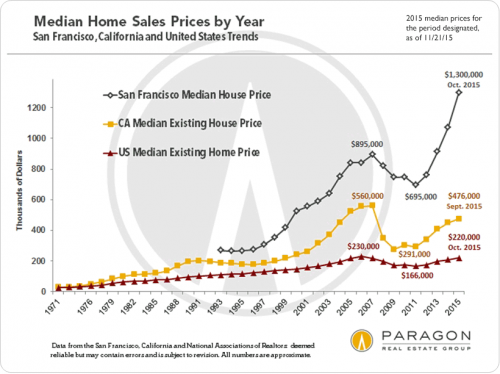 What you see in the chart below of San Francisco home prices is a mix of high end speculators, technology money and a flood of overseas investors bidding up properties, watching them soar higher in value the next month, and then bidding them up again. When the mania ends, and it always does, home prices will return to a level where the median working family can afford to pay for the monthly payment based on a median salary. I assure you that is much, much lower than $1,300,000.